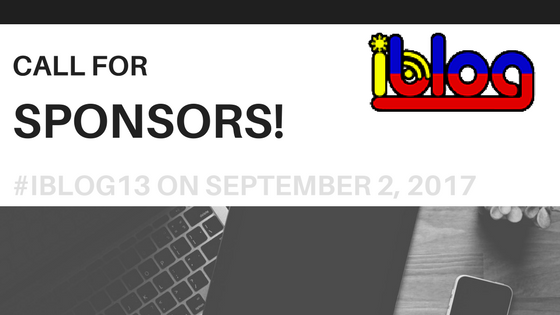 We will once again have iBLOG: The 13th Philippine Blogging Summit (#iblog13) — an open event for the Filipino blogging and social media users community. For the past twelve years, this event has become a highly-anticipated interaction venue where famous and upcoming Pinoy bloggers give informative talks. More than 300 bloggers from all over the country make time to attend it as well. 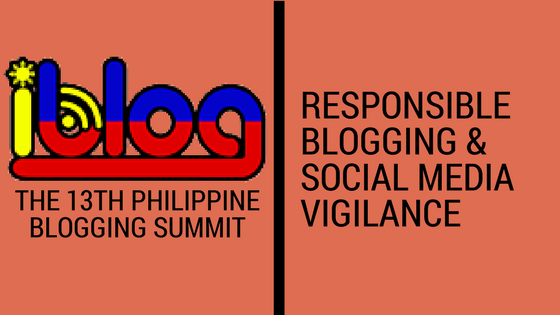 The 13th Philippine Blogging Summit will be held this September 2 at Malcolm Theatre, College of Law, University of the Philippines, Diliman, Quezon City. We are extending a special opportunity for your company to support this major event for the Philippine blogging community. Increase your visibility through this one-of-a-kind event. As #iBLOG13 is a non-profit event, all fees are requested to be made payable to our event suppliers who shall in turn issue the corresponding official receipts. Hello everyone. We are now gearing up for iBlog: the 13th Philippine Blogging Summit (#iblog13). 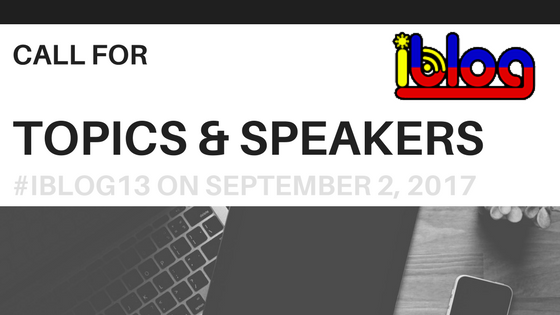 In this regard, we would like to invite interested speakers to submit a topic proposal for consideration on or before July 31, 2017.
iBlog13 will take place at UP College of Law this September 2, 2017. Submit your topic proposal on or before July 31, 2017. The approved topics and speakers for the summit will be posted soon.